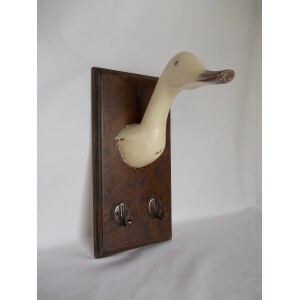 Rustic hand carved duckling with a distressed, pastel green paint finish. Teak Duckling with head looking forwards. 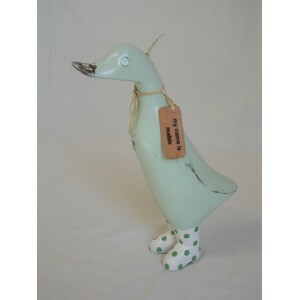 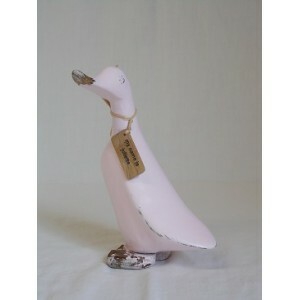 Rustic hand carved duckling with a distressed, pastel mint green paint finish. 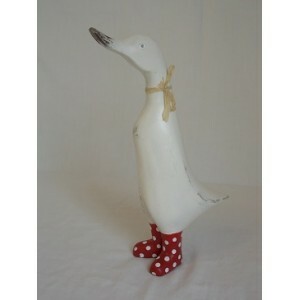 Comes dressed in White boots with avocado green dots and has its own name tag.